שפורסמו בשנים האחרונות בכמה מכתבי העת המדעיים הנחשבים בעולם. 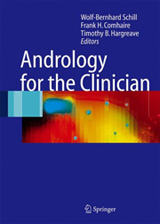 of varicocele in infertile men. Hum. Reprod. internal spermatic veins embolization for the treatment of varicocele. drainage system. Hum.Reprod. (2005); 20:2614-2619.
venous drainage system. Reprod Biomed Online.